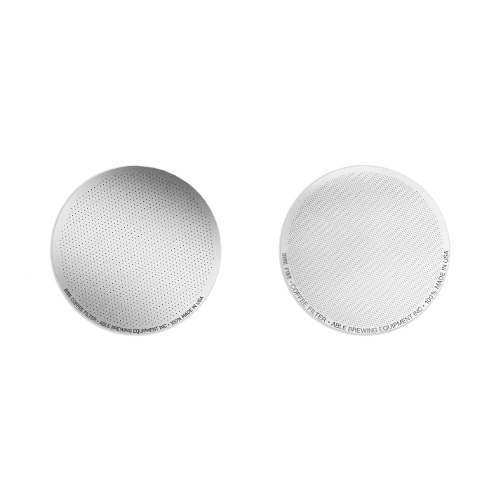 The AreoPress Coffee Filter Disk is a reusable filter designed to be used with the AeroPress Coffee Maker. 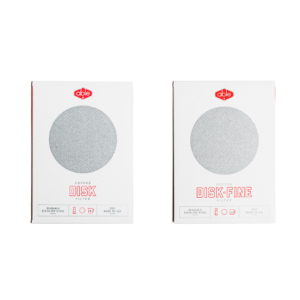 This allows more oils and a fuller bodied cup of coffee when used with the AeroPress and eliminates the need for paper filters, which is especially convenient when traveling and helpful to the environment. Standard – Fuller body cup of coffee with a bit more fines. Thicker and should last many years of heavy use and is very hard to bend/damage. Fine – Very sweet clean cup of coffee with very little fines to none at all. It is thinner (1/3 of the Standard) and should be handled with care as bending/damage is more likely. For use with the AeroPress Coffee Maker.